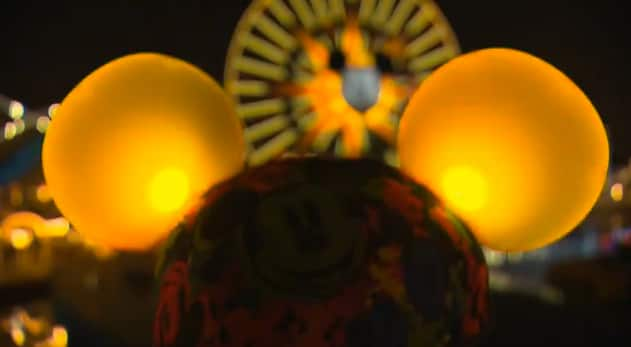 Last week, we told you about the brand-new “Glow With the Show” Ears that are spreading light and color all over Disney California Adventure park. From the Mad T Party, to Cars Land and more, these new ears make park guests a part of the show like never before. In the video below, watch as the entire “World of Color” audience lights up and glows with the show! Be sure to grab your own “Glow With the Show” Ears on your next visit to Disney California Adventure park – they are available for $25 (tax included) at locations throughout the park, including Los Feliz Five & Dime, Off the Page, Seaside Souvenirs and many merchandise carts. 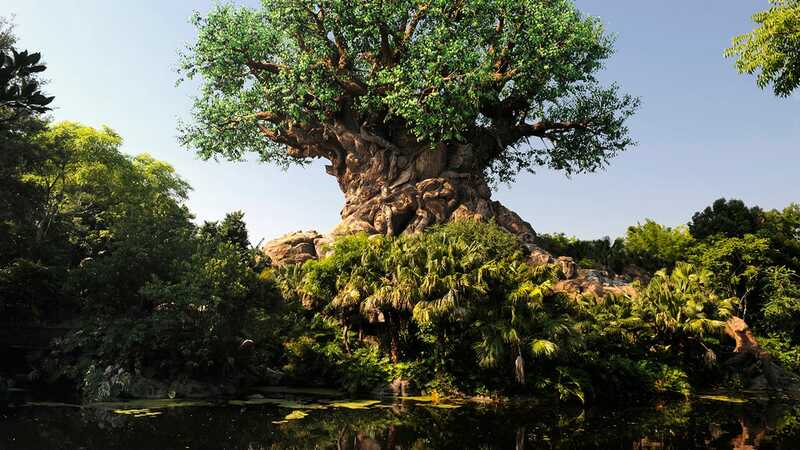 It could Also be expanded to light up not just for specific attractions and shows, but They could also light up for specific areas of the park or, as discussed above-Holidays! Alternating Red/Green for Christmas, Orange/Purple for Halloween, The Possibilities are endless! Are there going to be more special AP glow with the show WOC performance? Agree with Sharon #25. Pretty spectacular. Thanks for the opportunity! We saw the premium pass holder show last night, 6/30/12 and it was the most amazing show I have ever seen. That show made the cost of the annual pass worth it all by itself. I hope enough people invest in the ear hats to make all the shows glow! Disney did it again! These look great! I heard the AP pack is only available till Aug 18th will the hats be available after that, we have APs and are only heading there from Canada on Aug 27th. Or is there a way to order them online or by phone? We are going to the special Glow show June 30. We tried going to Disneyland today Sunday, 24th @ about 1 PM and couldn’t find a place to park and there were no special road signs directing us, other than to full lots. After driving around for I/2 hour, we went home. Where will the best place to look for parking be after 6 PM (I have to work that day)? Will Mickey and friends be open at that time? Really hope these make it to WDW by December!! I was there on the 14th and I can assure you that the ears do not detract from the rest of the show. They appear to be in front of or underneath the water elememnts and you are easily able to view it all at once. They replace the black foreground with changing colors – VERY cool. I do have one question: Will the pins Paula mentioned interact with ther new ears? I have 3 sets and w\ould love to see them in action again. Seems like the ears would be a distraction from the world of color show. I agree – please bring these to WDW! On a different note, I’ve heard the ears work in other secret locations? Like in Cars Land, and even in Disneyland? Does anyone remember the pins that were purchased years ago at WDW that did the same type of thing? I was disappointed that you couldn’t bring them back year after year. Please bring the ears to Disney World!! Is this only a summer thing??? No – in fact, Walt Disney Imagineering is even looking for opportunities for “Glow With the Show” Ears to interact with other attractions and shows. Stay tuned! TOTALLY COOL EARS! These are a real keepsake from the Disneyland park. Watching the video we took of the show last Thursday is awsome! I loved especially how they glow like burning candles during the “Pirates” fire scenes! Whoever came up with idea should get a raise. Once folks understand how cool these things are, they’re going to be a GI-NOR-MOUS hit! Cool! Do they only work for the one show, or if you come back months later will they still work? Even if the show has changed? I bought an annual pass & am going to try to go 2-4 times over the next year or so. It would be great to keep using them each trip! Corene – The “Glow With the Show” Ears will definitely work each time you visit Disney California Adventure park, so be sure to bring them back with you! This is SO cool! It looks amazing!!!! Is there any chance of adding ears like this to WDW? I would definitely buy a pair! That looks so cool. I hope they are not for just the summer, we are coming in September and that would be so much fun! Wow how about making a pair that goes along with an interactive online game that is tied with the parks? And give out a special Rainbow Ears item for the virtual avatar with purchase! If only we get the parade back to Disneyland, it would be AWESOME! I’m coming to check out everything new at DCA for my birthday on July 15th! We are doing dinner at Carthay Circle and then WOC. These will definitely be a gift to myself. Happy birthday! That sounds like the perfect way to celebrate. Be sure to try the fried banana split Monte Cristo sundae at Carthay Circle Restaurant. It’s delicious! My first thought was ‘another pair of ears and $25?” but after watching the video….I would definitely buy them! I was there and it was amazing!!! We were given out our Mickey Ears when we got to the show and a few seconds before the beginning of World of Color all were turned off. The lady next to me was sad because she thought her’s broke down. Suddenly all the Mickey Ears were interacting with the show!!!! You know how cool it would be to wear these during a performance of The Main Street Electrical Parade? That would be AWESOME! I really hope they bring something similar to WDW. I suggest tiaras and pirate ears and it should go to a new firework show at Magic Kingdom. Oh those look like so much fun. Something tells me my daughter will want a pair. I presume you have the ability to make them glow away from the show as well. Yes! Even when they’re not activated as part of a show, they’re putting on their own show.